I’m happy to announce the official release of the SuperOrbital BOSH Livelesson on Safari! Months of hard work and thought went into this, and the feedback so far has been incredibly positive! The journey from why BOSH exists to creating and deploying a BOSH release was a really beneficial one as it covered a lot of ground. The steps were all at a comfortable pace and it never felt like one areas wasn’t covered in enough detail to limit progressing onto another. As a series, I found it to be a really informative and it could be a great resource for those new to cloud foundry and BOSH. BOSH, part of the Cloud Foundry tool chain, is a truly enterprise-grade system for managing distributed cloud infrastructure and stateful applications. 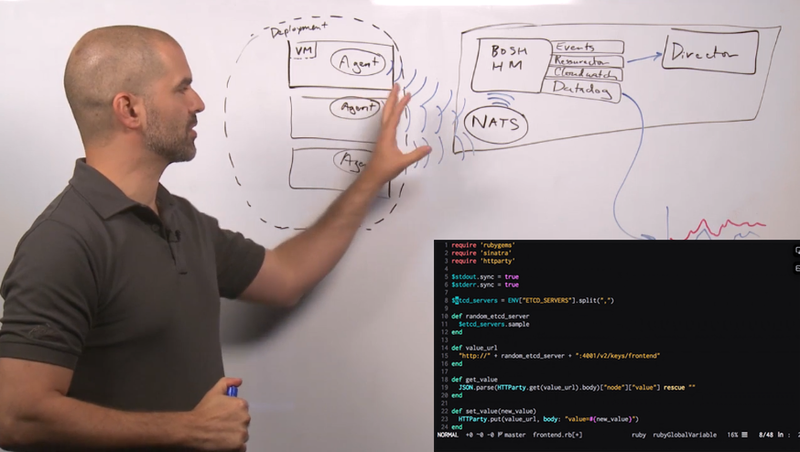 This five hour hands-on tutorial will teach you how to harness its power to build resilient and reliable cloud native deployments. Start by deploying a fresh BOSH director using the latest tooling on GCP, and finish by authoring your own BOSH release to manage your own software reliably in the cloud. This lesson explores some more advanced BOSH usage. You’ll learn how to collocate deployment to run multiple jobs on a single VM. You’ll also learn how to use BOSH add-ons to automatically collocate jobs on all VMs in all of our deployments. Finally, we explore the BOSH resurrector, a crucial part of the self-healing nature of BOSH.